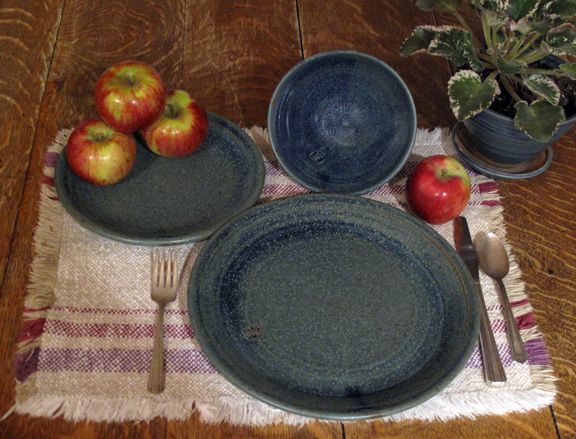 Lucy and Evan have selected a custom handmade stoneware pottery place setting composed of a dinner plate, lunch plate and bowl in our blue glaze. The dinner plate is $ 70, lunch plate is $ 40 and the bowl is $ 40. They have ordered 20 of each piece. 10/17/2016 As of today, all of the dinner sets have been purchased and will be picked up later this month. They picked up the completed set 12/28/2016. 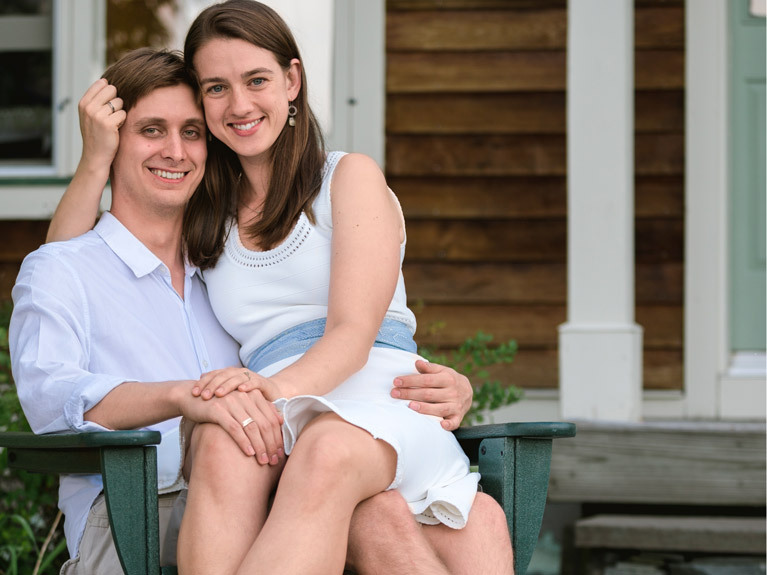 Lucy and Evan plan to pick up the finished set this fall at our studio, so there will be no shipping charges. A 6% Vermont Sales Tax will be added to the cost of each piece. You can purchase directly through us or contribute to the set through their Honeyfund. Go to our Shop page to order a dinner set or individual pieces.